Oh hello, have you met my BFF Pinterest?? Pinterest and I have a love hate relationship (mostly love). Pinterest, you make me ha ha ha. 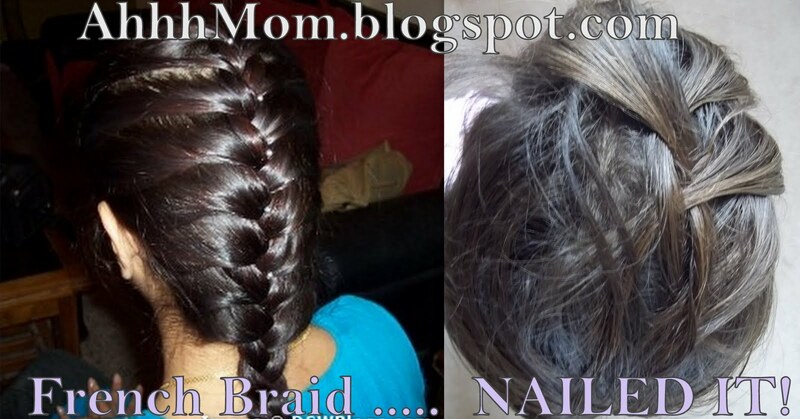 So in honor of you I have created my own 'Nailed It' photo, a favorite of mine. Here are some of my favs. 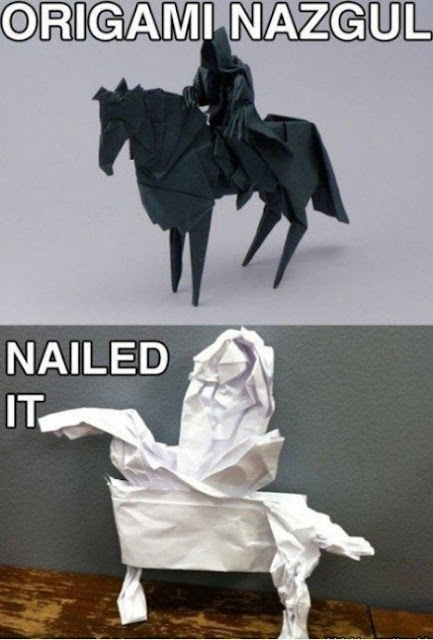 The Origami Nazgul. Hmmm... It looks like they almost, kinda, maybe, sorta did something right. But mostly NO. My personal fav. 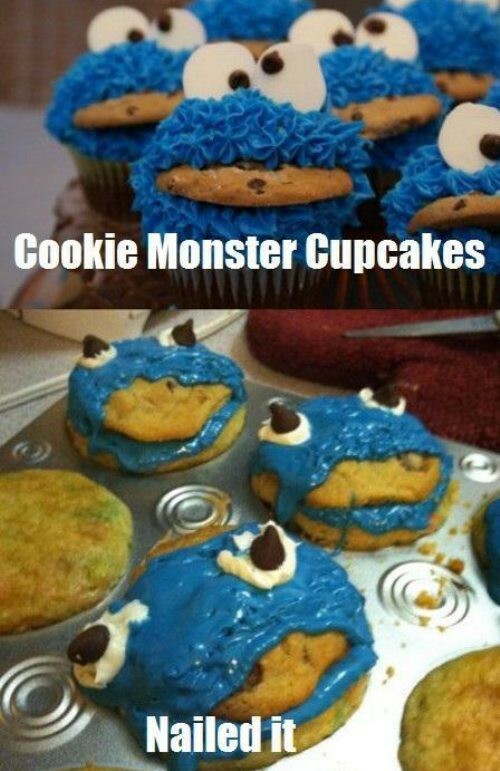 The Cookie Monster Cupcake, this is hilarious!! I give major props to the Mom who tried to pull this one off. And then there is this. My own personal 'Nailed It' photo. I'm very sorry Aubrey, one day I will learn how to french braid, just not today... Nailed it.